Sport events that depend upon natural landscapes tend to draw athletes from urban centres to peripheral areas. In doing so these events function as tourist attractions but little is known about the way participating athletes understand these places. 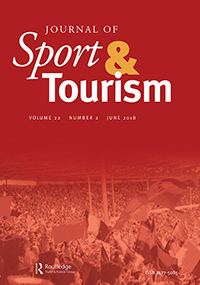 This study explores the ways that one type of sport traveller (i.e. ultramarathon runners) understands the host destination (Grande Cache, Canada) as a place of training and competition. A volunteer employed photography data collection method was used along with an inductive thematic analysis. Four themes merged including place as: (a) landscape, (b) sport competition, (c) community, and (d) an introspective self-portrait. First, under the landscape theme runners saw place as sublime nature during the training camp (TC) and a terrain to be conquered during the race. Second, the sport competition theme reflected place as the event with the competition being the filter through which all other aspects of the setting were understood. Third, the setting as characterized as a place of community that fostered social connection and celebration. Finally, the introspective self-portrait theme focused on the runners themselves as they centred their identity within the setting. While landscape was a dominant theme during the TC visit, the sport competition and community themes became more salient during the competition weekend. The introspective self-portrait theme was strong during both visits. Study findings suggest that runners were attached to the setting through ‘place identity’ in addition to their dependence on it to facilitate the ultramarathon event.